The U.S. Food and Drug Administration recently announced that it is investigating reports of seizures in e-cigarette users. The reports received by the agency to date include seizure events in children and young adults using e-cigarettes and vape pens. FDA Commissioner Scott Gottlieb and FDA Principal Deputy Commissioner Amy Abernethy released a statement on April 3 indicating that the agency is conducting a scientific investigation on the potential link between e-cigarettes and seizures. Gottlieb and Abernethy stated that they have not uncovered a direct relationship between the two to date but said the FDA had received numerous reports in the last decade. 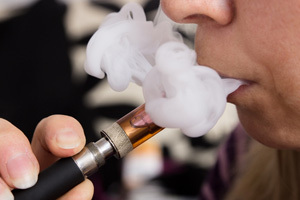 Between 2010 and the first part of 2019, the FDA received 35 reports regarding seizure events in people using e-cigarettes. The FDA is concerned that the reports might signal a larger problem, as seizures are a known risk linked to nicotine-containing liquids. The statement of April 3 is intended to raise awareness and encourage reporting to the FDA when consumers experience seizures after using e-cigarettes. For several years, the FDA has raised concerns about growing use of vape pens and e-cigarettes in teenagers and young adults. E-cigarette manufacturer Juul Labs Inc. has been the most common recipient of public and regulatory ire regarding youth vaping. The FDA has proposed measures to limit sales of flavored vape pens that are appealing to teens. The FDA statement released on seizure events does not identify any manufacturers by name. Most of the reports sent to the FDA did not name a specific brand of e-cigarette, the agency said. The statement did affect e-cigarette markets, however, with shares of Altria (a Juul partner) and Phillip Morris declining by 3 percent and 2.2 percent respectively. Have you or someone you love been injured by a vape or e-cigarette?